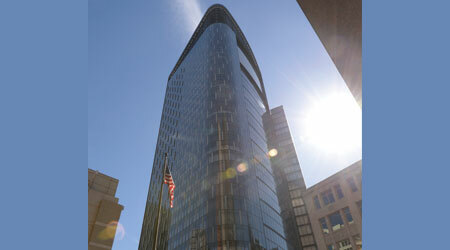 Part 1 of a 5-part article profiling the high-performance PNC Tower in Pittsburgh. For all the complexity of its systems and building envelope, the structure that is being touted as the greenest high-rise in the world is also a study in simplicity. The Tower at PNC Plaza, which opened in October in Pittsburgh, is using that most primal of objects — the sun — to help create essential building systems, namely HVAC and lighting. And a gigantic solar-fired version of another fundamental — hot air rising up a chimney — is also a vital part of how the building works. At the same time, it is the sun that has created the structure’s biggest surprises. The 33-story building, the new corporate headquarters for the PNC Financial Services Group, achieved LEED Platinum certification last fall, and actually exceeds Platinum, according to the designers. 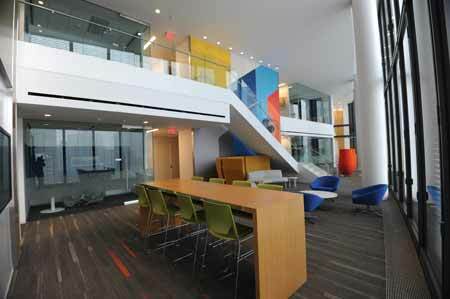 The building offers the 2,000 or so occupants a variety of amenities, including two-floor “neighborhoods” that are collaboration spaces with city views and natural light, as well as outdoor terraces, observation decks, and a five-story enclosed, column-free Indoor Park on the 28th floor that is supported by a 100-foot curved steel truss. The building is expected to use natural ventilation only for up to 42 percent of the time. The building’s features and technologies will contribute up to 50 percent less energy consumption than a typical office building, according to Paladino, the project’s sustainability consultant. Tying everything together in the tower is the building automation system. “The BAS is what makes all this click,” says Paul Fusan, PNC’s critical systems expert. “It touches the windows, the blinds, the shades, the HVAC, lighting, power distribution, power management. And all those networks are independently run in this building for data-security reasons.” The building’s features are not designed in an all-or-nothing mode, but can function independently in zones or sections of floors, if desired, notes Patrick Finegan, the tower’s property manager. So different is the tower that it fundamentally changes the entire foundation of how to design a high-rise, in Pease’s view. The traditional approach, he says, has been to make a building’s skin as tight as possible, allow as little air in as possible, and tint the glass on the outside or make it reflective to reduce heat gain. 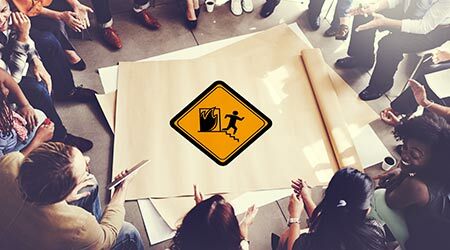 This creates a highly controlled environment that is achieved completely through mechanical systems. 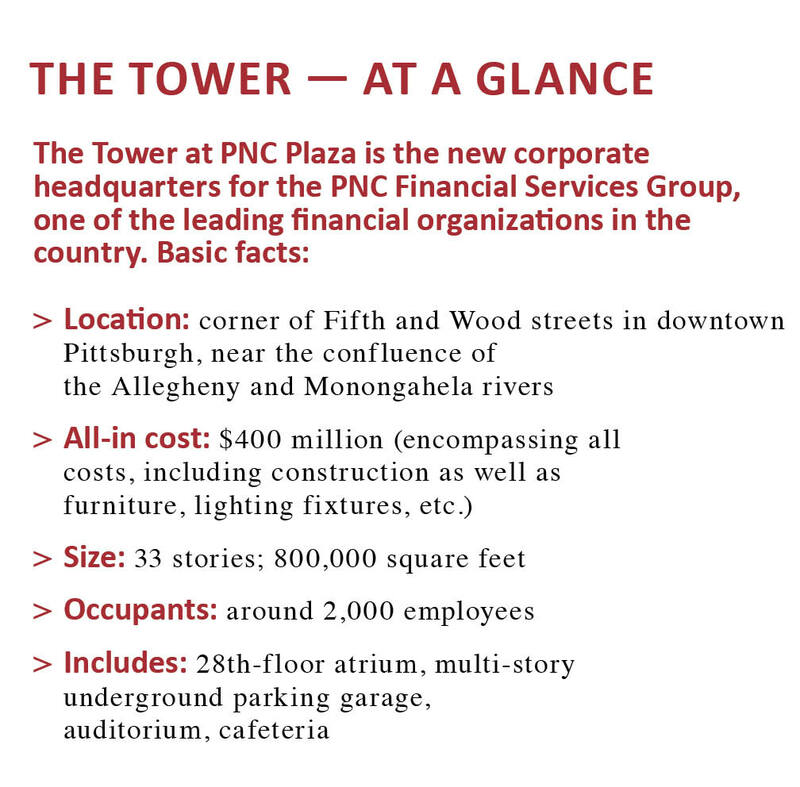 Ironically, he says, the “old” model is actually more complex than the cutting-edge PNC tower. In contrast, the tower’s designers asked: What are the abundant resources we have to work with and how do we use those? Their answers included the sun, the outside temperature, wind patterns, and 2,000 occupants. “We said, ‘OK, what’s the least amount of energy we can use by capturing the abundant resources that we have?’ We have an abundance of height, which allows us to take advantage of the stack effect (in the solar chimney). We have an abundance of sun, because as a tower we don’t get shaded. We have an abundance of occupants, which means we have 2,000 operators instead of five. If you take that look at your resources, they’re quite plentiful,” Pease says. PNC has vast experience with high-performance, green building, having built 258 LEED-certified projects (many of them bank branches) and found green strategies efficient and affordable. In addition, “we were actually getting customers because we were building green,” says Mike Gilmore, PNC’s director of construction services. “We kept raising the bar.” When it came time to build a new world headquarters, Gary Saulson, PNC’s director of corporate real estate before his recent retirement, issued a challenge when he traveled to the San Francisco office of architectural firm Gensler to kick off the tower project in 2011. That challenge was to design the greenest skyrise in the world, according to Gensler lead designer Hao Ko and technical design director Ben Tranel. During the early design process, a core group visited more than 20 buildings worldwide, evaluating best energy-saving practices. Designers also studied Pittsburgh’s climate to evaluate the feasibility of a naturally ventilated building.